After WWI, the German military discovered the importance of combined land and air assaults to maximize the damage of the enemy's forces. This strategy, known as the "Blitzkrieg" strategy, amplified the need for reliable transport vehicles. The "Schell Programme" was introduced, in 1940, to increase the ease of production of land vehicles for the German Army. The Austrian-made, 1.5ton, all wheel drive, Steyr 1500A/01 was an 8 passenger vehicle used in a variety of roles such as staff car, HQ transport, artillery tow truck and ambulance. The vehicle was equipped with a front torsion bar, lead spring rear suspension, four speed transmission, air-cooled 8-cylinder 85hp engine, and had a top speed of 100km/h. Towards the end of WWII, some of the vehicles were produced with bulletproof windows, and reinforced steel plate doors. 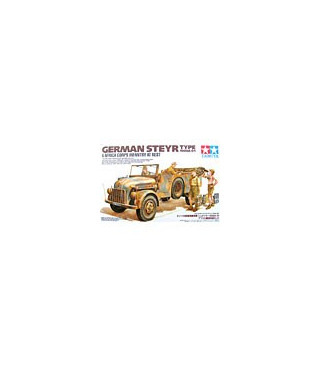 * 1/35 scale assembly kit set of the German Steyr Type 1500A/01 with several figures. 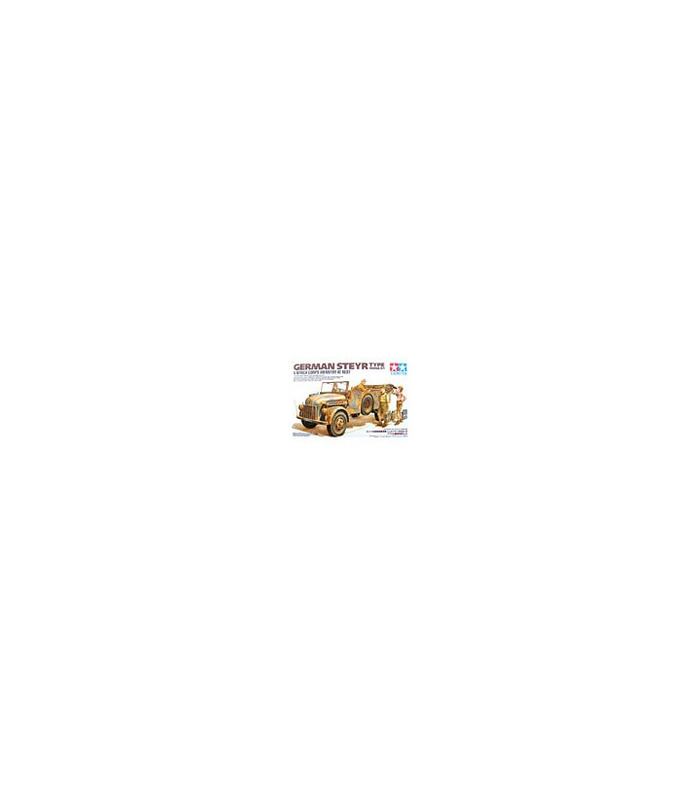 * Includes detailed suspension and the large soft skin truck body of the popular Steyr 1500A/01. * Includes 4 infantry figures. * All four figures come wearing tropical uniforms. * 3 kinds of markings included for the Steyr.